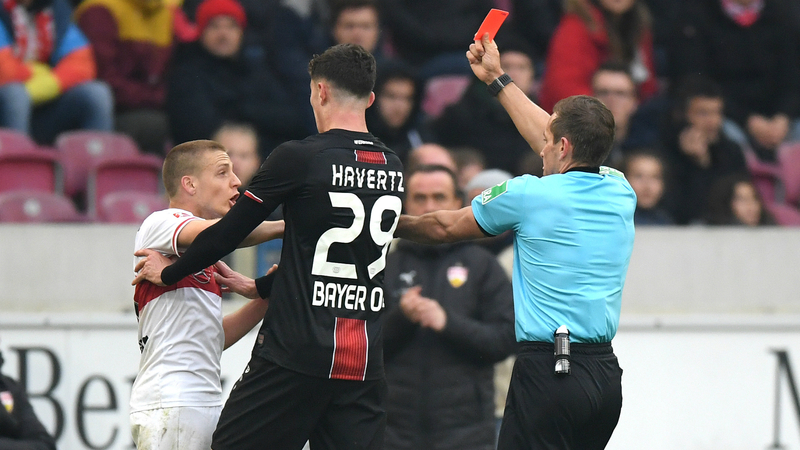 Stuttgart midfielder Santiago Ascacibar has been banned for six weeks following an incident in which he appeared to spit on Bayer Leverkusen's Kai Havertz. The 22-year-old was sent off in the last minute of last Saturday's Bundesliga clash, which Leverkusen won 1-0 courtesy of Havertz's 64th-minute penalty. "I have apologised for my actions to the club and to the team," he said in a statement released by Stuttgart. "That apology of course extends to my opponent Kai Havertz. Although I had been provoked, such actions are not acceptable."